JCDecaux S.A. (Euronext Paris: DEC), the number one outdoor advertising company worldwide, has announced that following the publication by the ANFR (National Frequency Agency) report in December 2018 – demonstrating the relevance of the small cells installed on JCDecaux street furniture – the Group will provide support for French telecoms operators to roll out small cells in around ten French cities in 2019. To this end, it will draw on the expertise gained in pilot projects undertaken with these operators in France since 2016. As connectivity is now accepted as essential to the development of smart cities, JCDecaux is committed to enabling the advance of this technology in France by installing small cells (boxes that boost network coverage in their vicinity) on its street furniture. The aim is to enable telecoms operators to improve the coverage and performance of their mobile networks for both voice and data traffic in the highly populated urban centres, greatly benefiting cities and their inhabitants. - The expansion of low bandwidth networks required for the development of the Internet of Things (IoT) and related services. 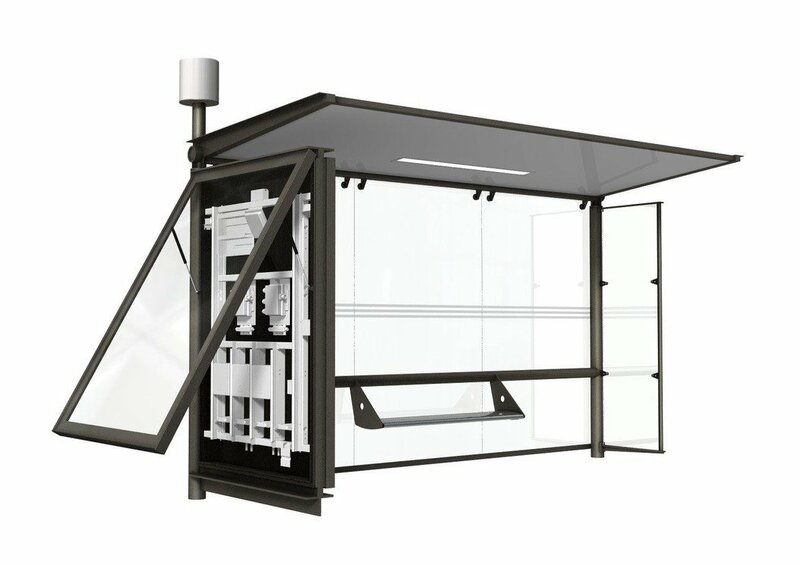 The solutions offered by JCDecaux have been in place since 2014, with the installation of 200 small cells on bus shelters in Amsterdam for Vodafone, and make it possible to install up to 4 small cells on each item of street furniture with a limited visual impact, offering cities multi-operator deployment solutions that enable the perfect integration of these technologies in the urban environment. In 2015, the Group created JCDecaux Link, a division dedicated to developing connectivity, which now operates in 10 countries (Germany, Brazil, Chile, Spain, France, Italy, Mongolia, Panama, the Netherlands and the USA), working for major groups such as Vodafone, Verizon, Orange, Telefónica and América Móvil. The pilot projects that the Group has been running with mobile operators in France since 2016 provided an opportunity for the ANFR to evaluate the impact of these solutions on network quality and radio wave exposure on the local population. The conclusions of the ANFR report, which was published in December 2018, confirmed that small cells could triple download speeds and gave a positive opinion of the public’s exposure to radio waves, particularly due to their shorter distance to users and the reduction in smartphone power by between two and five times, which limits the exposure to radio waves at the same time as increasing battery life.